The efforts of the employees and activists of the National Museum of Bosnia and Herzegovina to keep this museum active in a difficult political and economic context is an astounding example of dedicated service to cultural heritage. Following the formation of today’s Bosnia and Herzegovina, the government was unable to reach an agreement regarding the financing and upkeep of the National Museum. Deprived of public funding and support, the Museum shut its doors in 2012, partly from necessity and partly to draw public attention to the Museum’s troubles. However, despite the closure, the employees continued to come to work every day over the following three years without pay. They guarded the Museum night and day in poor conditions, protected the collection from intruders, cared for the artefacts as best they could and saved the building from decay by carrying out routine maintenance tasks. The Museum is home to over 4 million artefacts making it one of the largest and most important museum collections in South East Europe. For this reason, AKCIJA, an independent cultural NGO based in Sarajevo, in collaboration with photographer Zijah Gafić who made powerful portraits of the Museum’s workers, launched the campaign “I am the Museum” (“Ja sam Muzej”). The campaign aimed to raise awareness across the region and Europe as a whole and to bring the Museum’s difficult circumstances back to the top of the agenda of the decision-makers at state level. 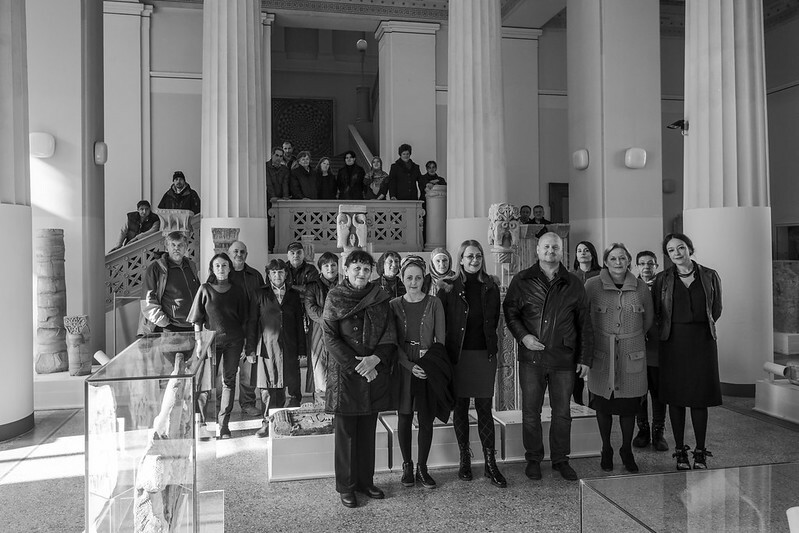 The jury admired that “in collaboration with AKCIJA, the Museum employees and activists galvanised public support to secure the preservation of this important and unique collection of artefacts which is representative of the cultural and religious diversity of Bosnia and Herzegovina and the Balkans region”. This well-executed campaign, together with intense political and diplomatic efforts, resulted in the re-opening of the Museum in September 2015 with a guarantee of public funding until 2018. What will happen after that remains to be seen, but the determination of the Museum’s employees, activists, and supporters to continue the battle for the museum’s survival is certain. “Throughout times of extreme turmoil, the museum workers at the National Museum of Bosnia and Herzegovina, as well as the NGOs and activists who assisted them, worked hard and without pay for three years. Their commitment to their vocations which was publicly articulated through the large-scale, cross-border civic campaign conducted by AKCIJA, mobilised massive support from the public and the media in Bosnia and Herzegovina and beyond. Finally, it influenced policy at a state level. This victory for civil engagement in cultural heritage is truly impressive”, the jury said.